Happy Birthday to Shivani Ghai! Today marks the birthday of Shivani Ghai, the actress portraying Arika. The Dominion fans would like to wish her all the best and a wonderful day! Tweet with us in the summer and spread the word! The Dominion fans are getting ready to continue the Twitter craziness in summer. Please help us spread the word to get even more people to live tweet along with cast, crew and the fans when season 2 starts airing on Syfy in July. 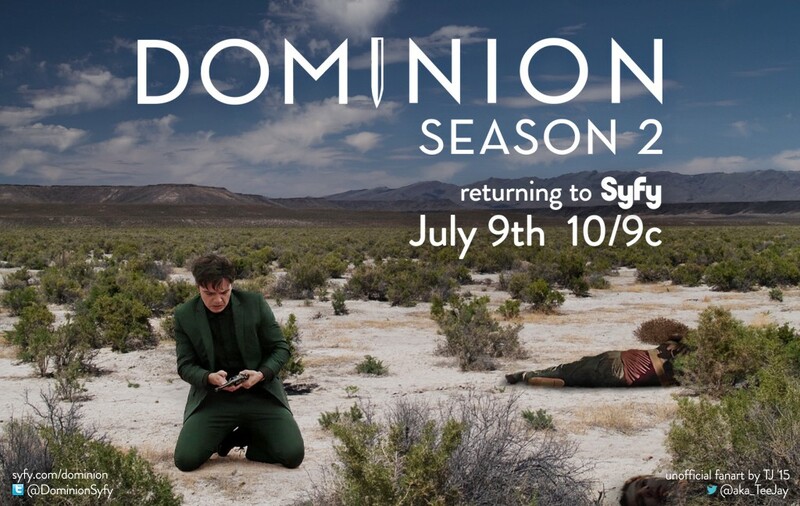 Make sure to mark July 9th in your calendars for the return of Dominion to US TV screens! Season 2 will be back as part of Syfy’s Thursday lineup, premiering July 9th, 2015 at 10/9c. And, yes, there will be live-tweeting with cast, crew and fellow fans. 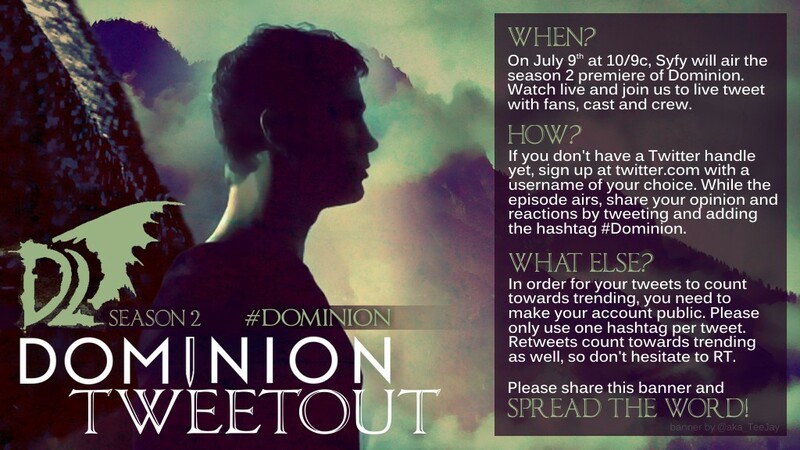 Keep that hashtag #Dominion at the ready and stay tuned for more updates. Happy Birthday to Katrine de Candole! Today marks the birthday of Katrine de Candole, the actress portraying Archangel Uriel. The Dominion fans would like to wish her all the best and a wonderful day! Happy Birthday to Langley Kirkwood! With season 2 of Dominion coming back to our screens in July, there’s one thing that we would like to greatly improve — engagement on Twitter. There’s a great article on examiner.com that explains why it’s important to increase Twitter chatter and how that can help us get more seasons of Dominion in the coming years. If you know people who love the show but aren’t actively involved on Twitter, please encourage them to sign up and tweet about the show. Explain how much fun the live tweeting and the interaction with the cast and crew is. The more, the merrier! Exciting news! Melissa from TomWisdom.net is planning a Dominion fan get-together near Chicago this June. More information can be found here, and if you’d like to join, please RSVP via this website. It sounds like a ton of fun to us, so we’re hoping for a great turnout!